I’ve been using Windows 8 daily for a few months now, and I don’t have very many good things to say about it. So, when the opportunity presents itself to point out something that’s actually better about Windows 8, I naturally jump at it. And while many parts of Windows 8 are debatable (maybe Modern is the future; maybe it’s not), one element of Windows 8 that has undergone a massive overhaul and made it unequivocally more awesome is the humble Windows Task Manager – that modest window that helps you bail out of trouble whenever you hit Ctrl+Shift+Esc. We’ve covered the Windows 7 task manager Mysteries Of The Windows 7 Task Manager: Why You Don't Need an Alternative Mysteries Of The Windows 7 Task Manager: Why You Don't Need an Alternative This might seem contrary to what you read about throughout the Internet, but the Windows Task Manager is fine as it is – it doesn’t need a replacement. You could interpret that as a simple... Read More and have shown you how to customize it Customize The Windows Task Manager To Your Liking with Task Manager Modder Customize The Windows Task Manager To Your Liking with Task Manager Modder Read More ; we’ve also discussed Process Explorer Process Explorer - The Most Powerful Task Manager Replacement [Windows] Process Explorer - The Most Powerful Task Manager Replacement [Windows] Let’s be honest, the Windows Task Manager isn’t that great for understanding and managing the processes running on your computer. 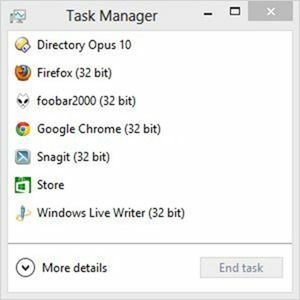 Even on Windows 8, where it’s much-improved, the task manager can’t come close to the... Read More , a powerful Task Manager replacement. 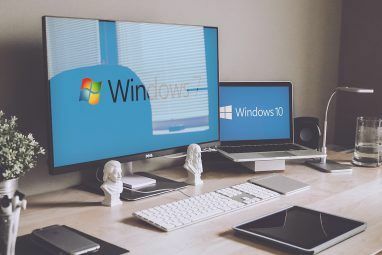 But today I won’t be talking about customizing or replacing the Windows Task Manager – rather, I will show you a few awesome things about what you’ve already got, right now. The screenshot at the outset of this post showing a listing of process names, and the one above showing system stats, are two examples of the Task Manager’s ability to collapse into a compact dashboard that you can just shunt off to the side of the screen to help you keep an eye on things. Instead of having to install a dedicated resource monitor, you can just use this tiny window. Windows 8 boasts super-fast boot times. On my machine, it takes about eight seconds to transition from completely off, all the way to the login screen. That’s fast. But the login screen isn’t what I need: I need my desktop. And once I enter my credential, Windows takes its good time until I can actually use the computer for doing useful work. Windows goes so far as to measure the startup impact of every process with every boot, and shows it on the rightmost column. This means I no longer have to guess: I know that if I disable Stickies Stickies - The Best Way to Keep Sticky Notes On Your Windows PC Stickies - The Best Way to Keep Sticky Notes On Your Windows PC The other day, I realized something that both shocked and delighted me. In the entire span of MakeUseOf’s existence, its authors seem to have missed one application which I deem absolutely essential to my day-to-day... Read More my boot will go faster. I would never do that because I rely on Stickies virtually from the moment I switch on my machine, but still, it’s nice to know. One option that’s missing here is to “stagger” the processes, or delay them. In other words, Windows recognizes two states: Either a process starts on boot, or it doesn’t. Soluto is a bit smarter than that, and lets you “delay” a process so that it does auto-start, but only once the computer is already up and running for some time. Each application clearly shows its resource footprint, broken down to CPU, memory, disk, and network usage. You can also expand the application (like I’ve done with Chrome above) and to display the captions (titles) of any of its windows. App history: This shows the resource usage history for applications – potentially very useful, but ruined by the fact that it only works for Modern apps. If you’re like most Windows 8 users, this renders the tab practically useless for you. Users: This tab becomes useful if you share your computer with at least one other user. It shows how much resources each of you consumes. Details: This is actually the old Processes tab (used to be the second left-most tab on Windows 7). Not much has changed – it’s still a long, cryptic list of process names, PIDs, and stats. 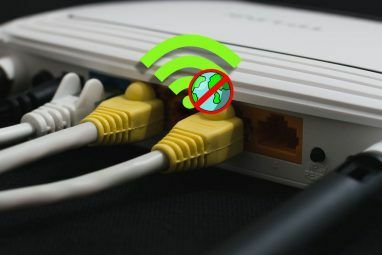 Services: Lets you monitor the status or running and stopped services. Again, not new to this version – nothing you haven’t seen on Windows 7. Still useful, though. Is There a Reason To Install a Replacement Windows Task Manager? To me, the Windows 8 task manager is just about perfect. It knows when to stay out of the way, and its compact information displays are both concise and useful. I know I won’t be installing Process Explorer anytime soon. What about you? Explore more about: Windows 8, Windows Task Manager. Sorry, the W8 and now W10 task managers have had their detail dumbed down, then painted over with pastel colors to make up for it. They've been made nearly useless but new-user friendly. If you find you like the new task manager, then you're not technically inclined enough to understand the difference. New Task Manager is most useless thing they've done. 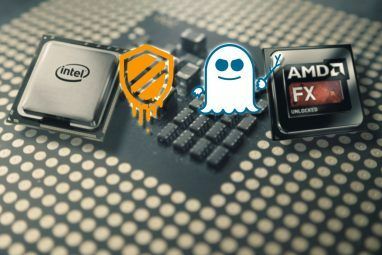 You can't kill a process anymore. It won't focus. Old one did. You could just click with a mouse and the process line WOULD BECOME HIGHLITED, and then you just click delete, and bugged process is gone. It doesn't work anymore in Windows 8. The task manager is useful but I don't understand why it takes so long to boot up. My computer is about average and I know its worth the extra features but the reason I use the task manager is to close out apps that are stuck in runtime and cannot be closed out. Adding more things to the taskmanager will just slow it down even more when your processes are at 100% due to a buggy program. Also I can't belive they havent added this feature yet; being able to select a list of processes from that menu and close out all of them at one time.. if a program offers me that then I will go to a 3rd party task manager. i typically use task manager to "virtually crash" my browsers with multiple windows and dozens of tabs open in each. why? to insure they can restore my last session accurately (that worked 99% of the time). why crash them at all? because they act up. firefox has a significant memory leak that slows down the whole system and it needs to be closed/reopened every couple days. now to the problem win8 task manager cant do. firefox only runs one process so the 'processes' view is fine. but chrome browser runs multiple processes so in the win7 task manager i could use the 'applications' tab to "virtually crash" chrome and be sure all the chrome windows/tabs would reopen. win8 doesnt allow me to do that anymore. or do they? please advise. It actually is possible with Win8 as well, afaik. There's one major flaw/regression in the new Task Manager... at least I can't figure out where it went: The old Task Manager allowed you to start a new process. This was vital when your Explorer was glitching... the old task manager allowed you to kill Explorer.exe, and then launch it again. Volia, new fresh desktop without having to reboot. Now if you kill Explorer.exe... you're stuck. You can't do anything. can't start a new process, can't get out from where you are. I ended up hard-resetting to get control back. You can Run new task from the File menu, but you don't need to because a right-click on explorer.exe gets Restart as well as End task. I liked the new task manager in windows 8, when it worked. Something often caused the desktop to partially hang (the new interface would still work, the mouse cursor still moved etc), but pressing ctrl-alt-delete or right clicking the left corner and hitting task manager just resulted in a blank, black screen and task manager wouldn't appear. I ended up switching back to Windows 7 - I do miss the extra features available in explorer though. Wow, that sounds very frustrating. Was it a new computer? Were you using the stable Windows 8 build (final), or an RTM version? maybe you should mention that to change priority of a program, you can go to 'detail' then change the priority needed for the program... Right now it's hidden, so new users probably thought the function is lost or disabled. Actually, changing the priority manually like that is usually not recommended, and can have all sorts of unexpected effects. That's why I didn't suggest it in the article -- Windows is quite good at managing multitasking these days, at least in my experience. Still, thank you for the tip! Still trying to get used to Tiles! I used Windows 8 for few months, Task Manager is really good and powerful, especially for a power user like me. Although there's some disadvantage of W8, this definitely going to the wall of fame. The new Task Manager is one of the things I like most about Windows 8 (also love the new copy dialog and the ribbon interface on Explorer windows). However, I still have to use Process Explorer to close handles on files.